Can you believe that this is the last full week of October? I swear, this month has just flown by! 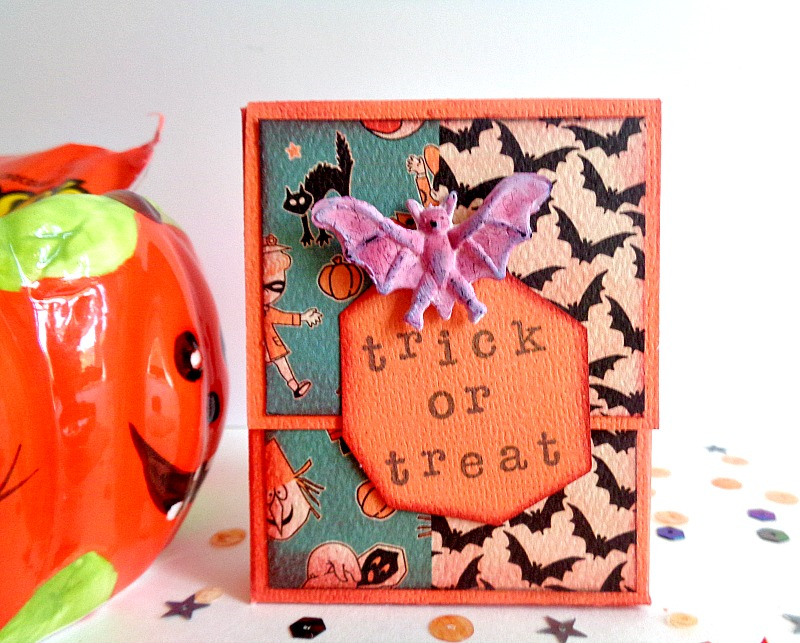 Since October is almost up, I wanted to squeeze in a few more Halloween inspired projects. However, I didn't really know what else to make for the holiday season, until I remembered that several of you loved last's months DIY Post-it Notes Holder. So, what do Post-it Notes Holders and Halloween have in common you ask? Well, absolutely nothing (lol). The point is that most of you loved the cute/usefulness/gift-able part of my DIY Post-it Notes Holder. Due to that, I thought it would be fun to create a similar item but have it be used to hold one individual piece of candy. 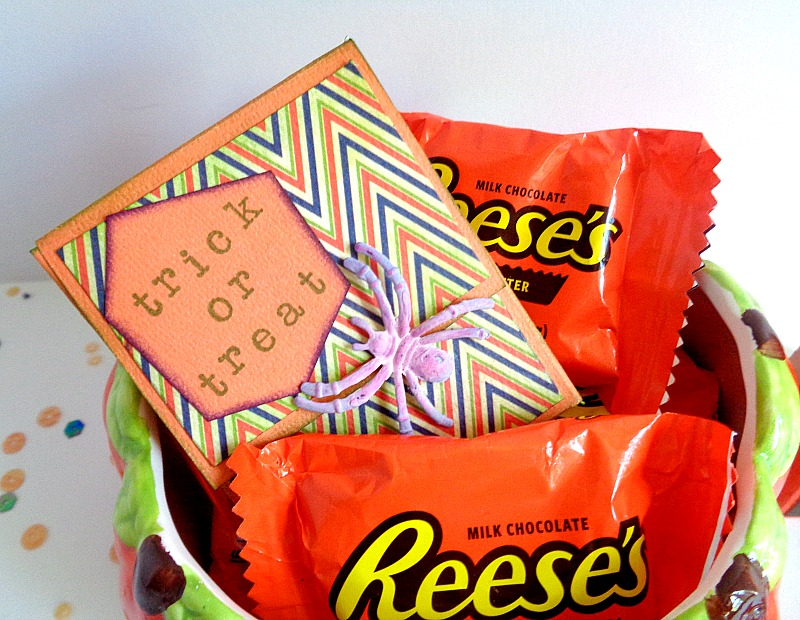 So today, I am going to be showing you how to create Mini Candy Gift Boxes! Before we hop into the DIY, today's project is part of my collaboration with Xyron since I'm a member of their design team! This means you will be seeing a Xyron product in action! For this particular project, I will be showcasing the Xyron® Tape Runner. I've talked about the Xyron Tape Runner before, so if you want to learn more about it, then click here. Also, in this project, I will be using items from Clearsnap! If you have never heard of Clearsnap, they are a company that loves color! They create and produce a variety of craft products that can be used in a ton of different DIYs. For example, they produce, inkpad, applicators, embellishment, and other crafty accessories. Now you may be thinking to yourself, ''I've never heard of Clearsnap''. However, I bet you have! Some of the crafty lines/items they are known for is, ColorBox®, Cat's Eye®, Petal Point® and Paintbox®. 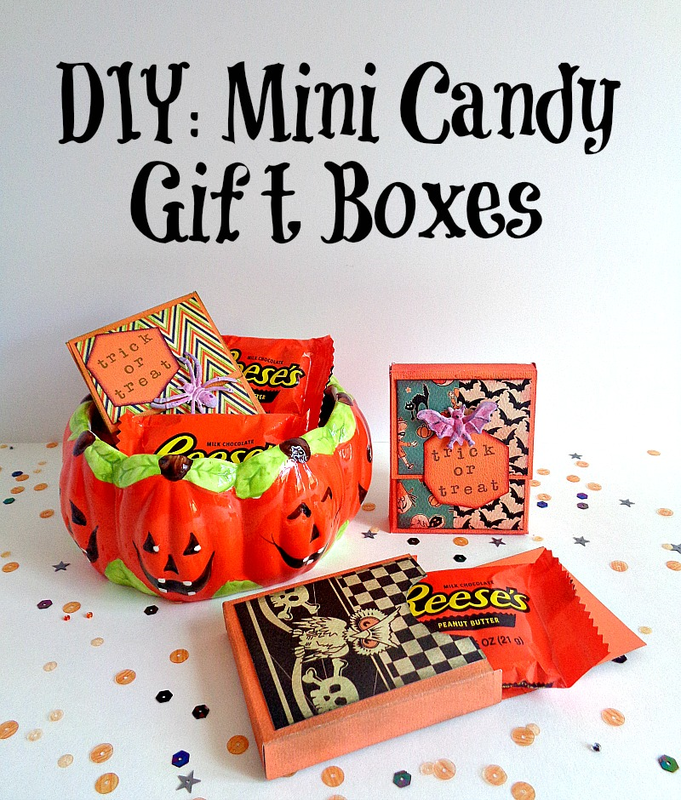 So, if you want to learn how to make your own Mini Candy Gift Boxes, then keep reading below! 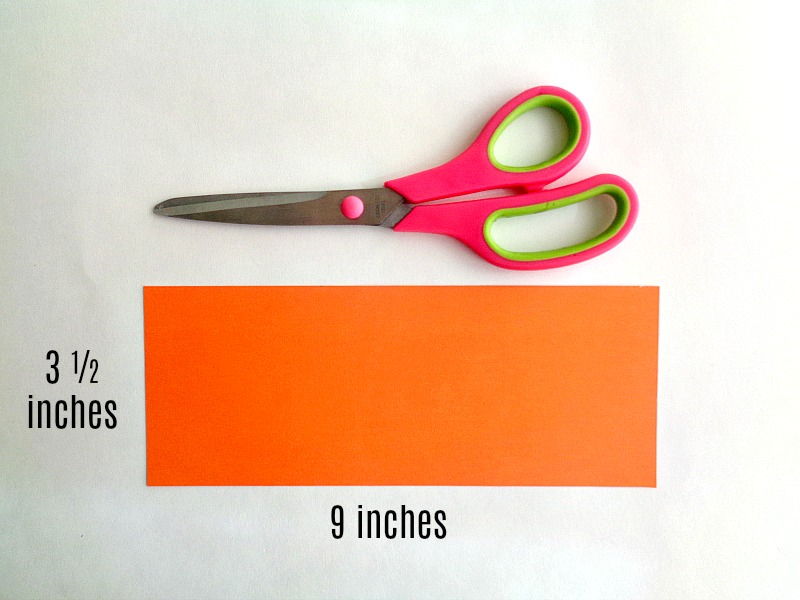 Step 1: Cut out a piece of scrapbooking paper that is 9 inches by 3 ½ inches. 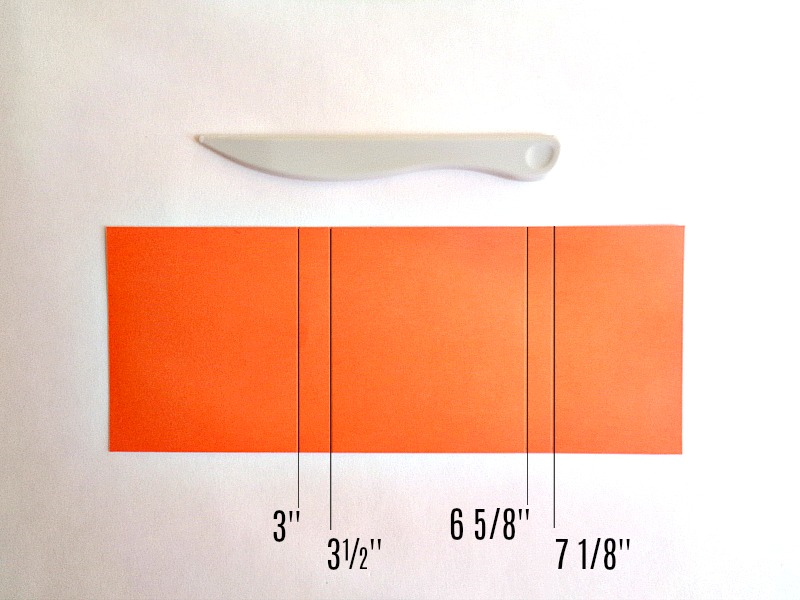 Step 2: Flip your scrapbooking paper piece over and score lines at 3 inches, 3 ½ inches, 6 5/8 inches, and 7 1/8 inches. Refer to the above photo for the score lines and measurements. 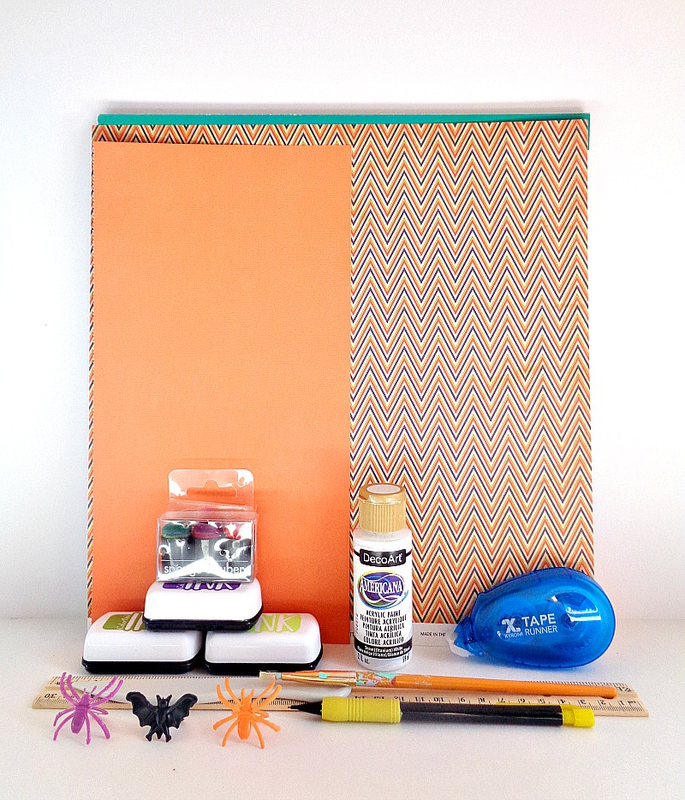 Step 3: Now take your scrapbooking paper piece and lay it vertically in front of you. Then score lines at a ½ inch and 3 inches. Step 4: When you are done scoring your lines, you will notice that you will have a long side and short side on your paper. For the short side, cut out the two tabs on the left and right. 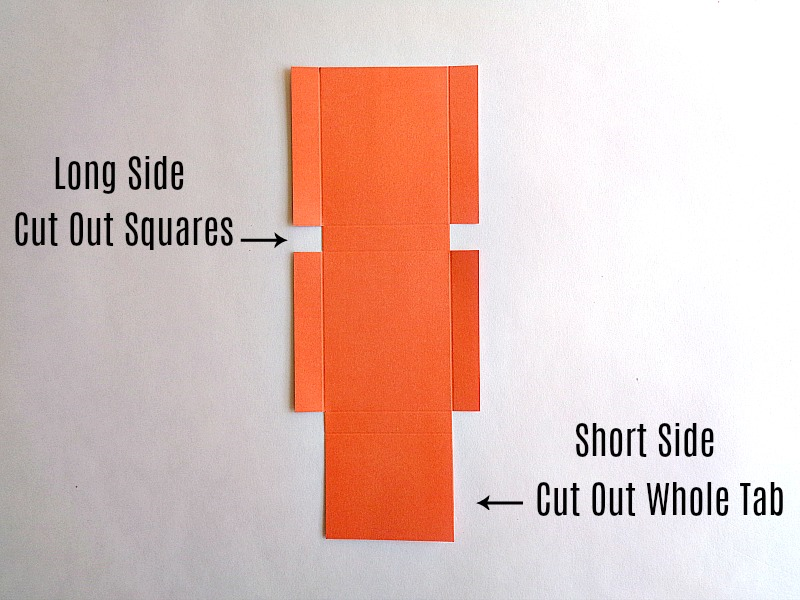 Then for the long side, simply cut out the two small squares on the left and right. Once you have cut those pieces out, gently fold on the score lines. Step 5: Now it’s time to think about how you want to decorate your mini candy box. 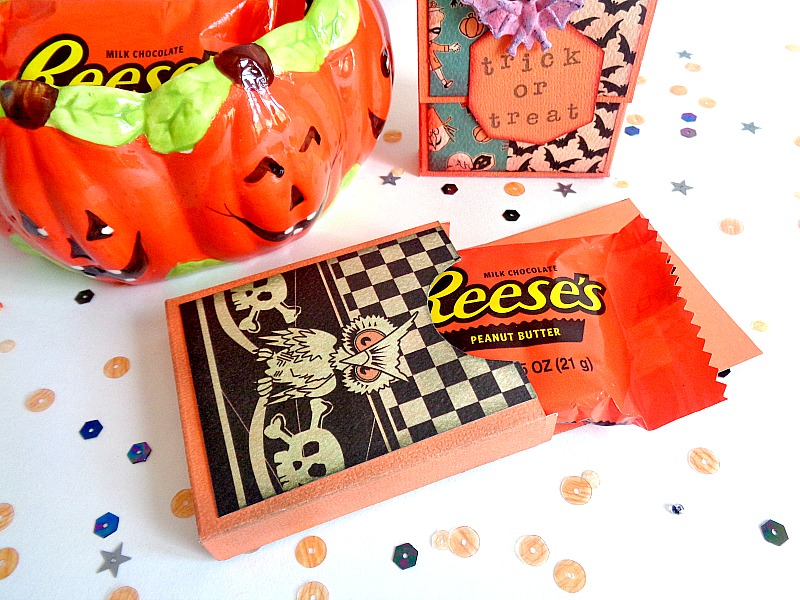 For my mini candy box, I cut out two pieces of decorative ‘’Halloween themed’’ paper. 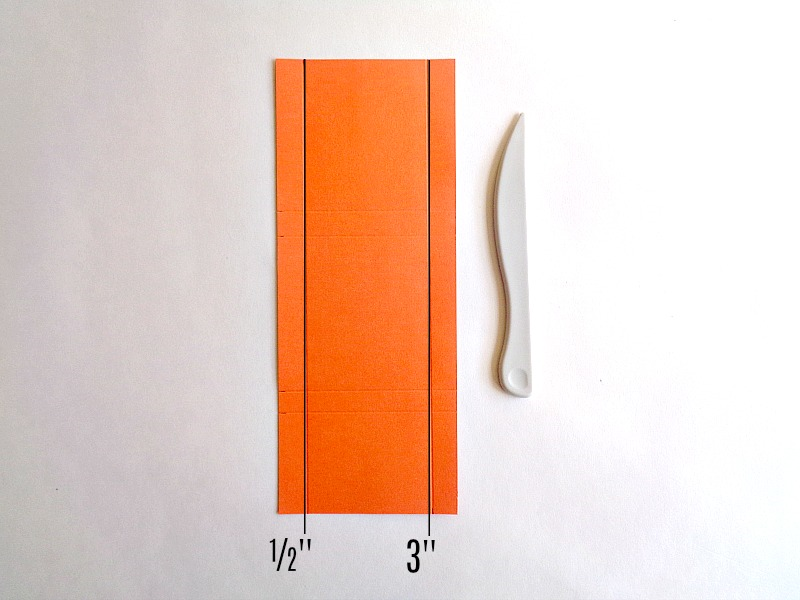 One of those pieces of paper was 2 3/8 by 2 7/8 inches and the other piece of paper was 1 ¾ by 2 3/8 inches. To attach the piece of decorative paper, I used the Xyron Tape Runner. Then I cut out half of circle on the longer side of my scrapbooking paper piece. Finally, I took my sponge dauber, dipped into my ColorBox® INK Premium Dye Mini Inkpads and began applying the ink all over my entire scrapbooking paper piece. 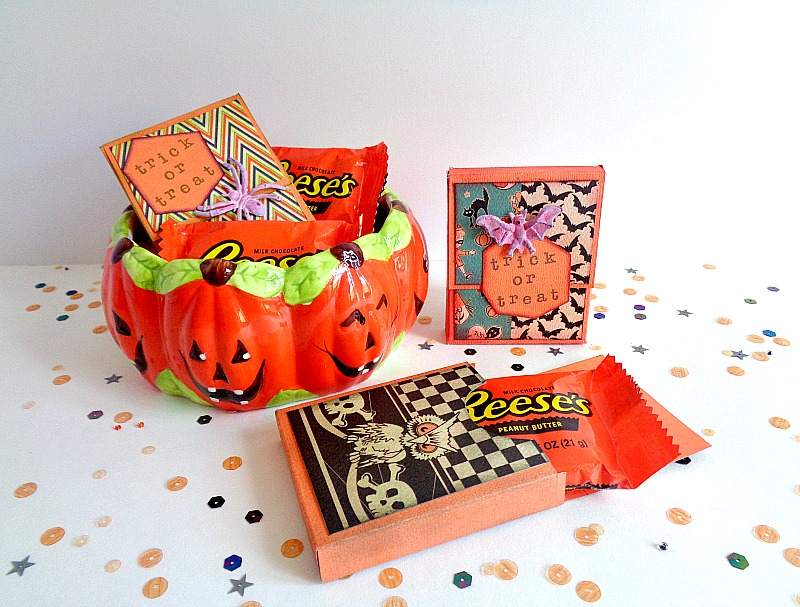 I wanted my mini candy gift boxes to have a ‘’distressed’’ look but still match my decorative paper. 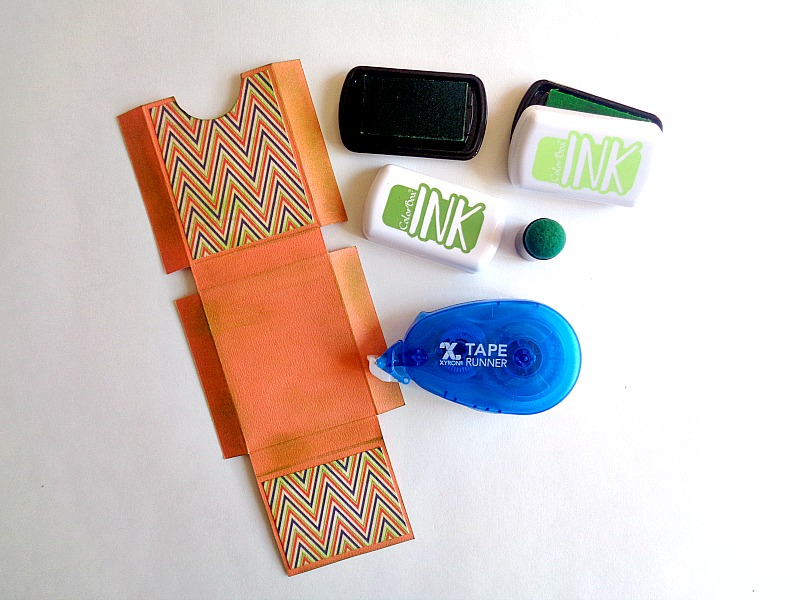 So, I used the ColorBox® INK Premium Dye Mini Inkpads in Lemon and Pea Pod. Once you are happy when how your scrapbooking paper piece looks, set it aside to dry. Step 6: While your scrapbooking paper piece is drying, grab your Halloween rings and cut off the ring portion. Then paint your rings in white and set them aside to dry. Crafty Side Note: The reason why we are painting our Halloween rings white, is so the ColorBox® INK Premium Dye color can be more vibrant. I tried adding the ink onto the rings without painting them white and the ink color was just not as bright. So, painting your rings white, creates a nice base for the ink colors to come through and helps the color to layer up nicely. 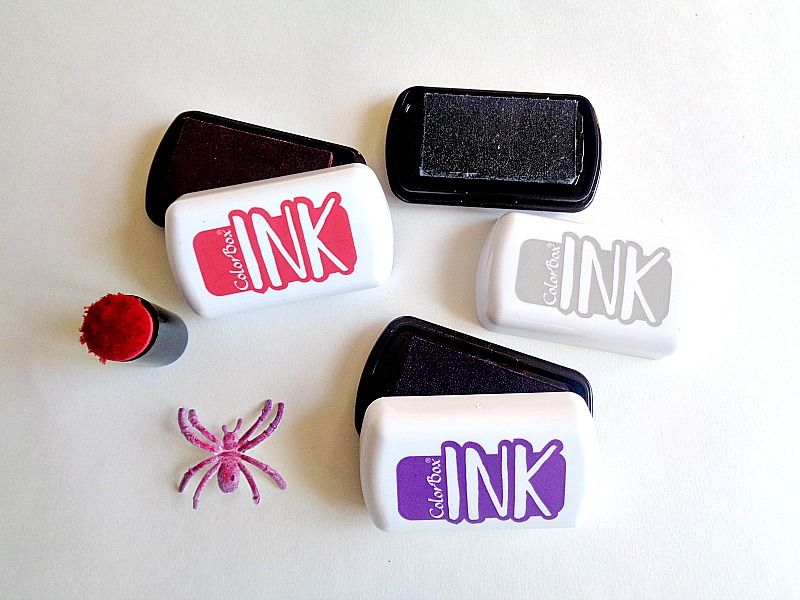 Step 7: To add some color to your ring, take a sponge dauber and dipped into a ColorBox® INK Premium Dye Mini Inkpad. Then begin applying the color (in a dabbing motion) all over the ring. Keep repeating this step with other colors of ink to get a unique looking embellishment for your mini candy gift box. For my spider ring, I used the ColorBox® INK Premium Dye Mini Inkpads in Poppy, Fog, and Jelly. Step 8: Now flip your box over, so the decorative side is facing down and the long side is facing up (like in step 4). Then apply some Xyron adhesive (using your Xyron Tape Runner) to the two tabs that are on the long side. Then begin folding your mini box together. 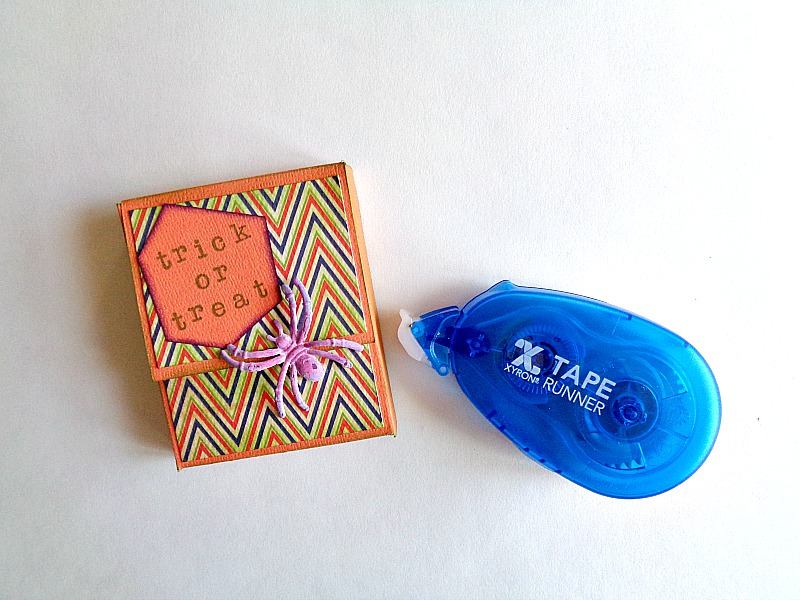 When your box has been created, slide in your candy and apply a small amount of Xyron adhesive to close the box. 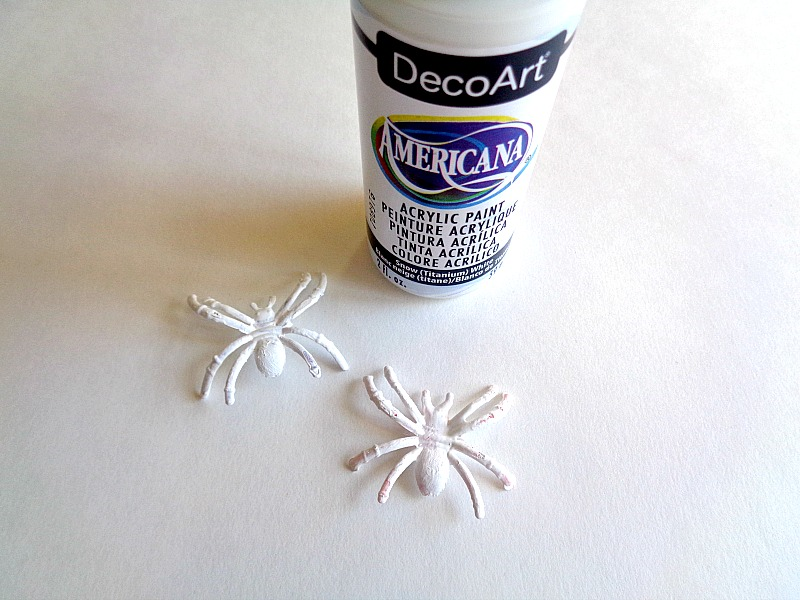 Finally, hot glue your Halloween ring embellishments on the front, along with any other embellishments. Once your box has been created and decorated, you are now ready to give it to your friends! I love how these Mini Candy Gift Boxes turned out! They would make great little ''surprise gifts'' to give to your friends, family, or co-workers. One thing I wanted to mention before I end this post, is the type of candy that this mini box can actually hold. As you can see from the photos, I placed 1 normal size Reese's Peanut Butter Cup in each mini box. However, a pack of gum (like this Juicy Fruit) can also fit into these boxes. My tip would be to stay away from candy that is not ''flat'' in terms of packaging. For example, you will probably want to stick with candy like a mini York Peppermint Patty, a mini Hershey bar, and so forth. What do you think? Do you like these Mini Candy Gift Boxes? Pies and candies seem to be of good quality. My cousin was looking for an online store for her trousseau shopping. Saw subscription box selling good variety online. Ordered luxury make up and perfumes with clothing too. Their monthly subscription packing id really cute.